Bengaluru: Chief Minister H.D. 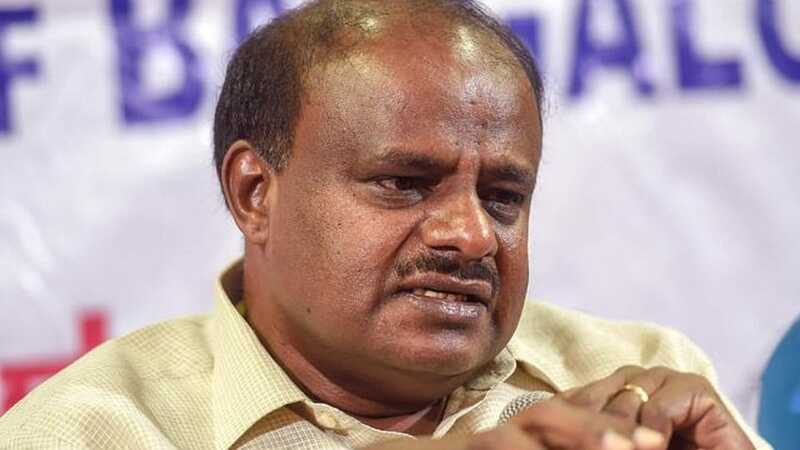 Kumaraswamy cautioned to file criminal suit against the officials for failing to utilise the funds sanctioned for the welfare of Scheduled Castes (SC) and Scheduled Tribes (ST) within set deadline. He was speaking to reporters after chairing the meeting of the State Council that oversees the implementation of “Karnataka Scheduled Castes Sub Plan and Tribal Sub Plan (Planning, Allocation and Utilisation of Financial Resources) Act, 2013” at Bengaluru yesterday. The Chief Minister has warned officials of imprisonment if funds earmarked for the empowerment of SC/STs are not utilised properly. There is a provision under this Act to send officers to jail if they have not used the funds meant for development of these communities effectively. The State Government had earmarked Rs.29,000 crore for development of these communities in the current fiscal year. State had allocated Rs.2,000 crore more amount this year when compared to previous year’s allocation. In 2013-14, the total allocation was Rs.8,616 crore. As per the guidelines, the official should prepare the action plan by the end of the November this year and get ready for implementation. The sanctioned amount must be utilised fully in the same year without any postponement to next year. Delay in utilisation, misuse and postponement will attract punishment. Official will face imprisonment under this Act, which mandates spending portion of the Budget on the welfare of SC/STs, he said. He said that he had received the complaints against some Department officials that they had not utilised funds properly from last three years. The Government will not tolerate such apathy of the officials, he warned. “The punishment clause hadn’t been implemented ever since the Act was passed in the Legislature, But this time, the rules have been framed and they will be enforced this year, Accordingly, we have warned officials,” H.D. Kumaraswamy said. Under the sub-plans, 17.15 percent and 6.95 percent of the total Budget allocation is set for SC and ST Welfare respectively. Funds are allocated to various Departments for spending. Every year, funds were allocated but there were no rules or guidelines. The State Government wants 100 percent utilisation of funds for development of intended beneficiaries without giving room to any complaints and corruption. Implementing officials should make all efforts to bring back socially and economically backward SC/STs to mainstream of the society, he said. The Chief Minister has also directed the officials to prepare the list of beneficiaries and guidelines for implementation. The State Coalition Government had already issued the orders for implementation of 230 works against the total 460 works planned for welfare of SC/STs this year. Other 117 works are pending before the Finance Department for approval, 18 works are before the Cabinet approval and remaining works to be announced very shortly. Officials should implement the works effectively without giving a weapon for political opponents to criticise the functioning style of the State Government. BJP and Opposition leaders are already decrying against the State Government accusing it yet to take off, Kumaraswamy added.